August is STEM (Science, Technology, Engineering and Mathematics) month here at Teacher. In the first of two articles on flipped learning, we find out about a research study into how Australian secondary school educators are using the approach to deliver senior mathematics courses. In tomorrow’s follow-up we’ll hear from one of the teachers involved in the research about adopting the model for Year 12 Specialist Maths and how it’s evolved since the study. In a flipped learning model, students spend their normal ‘homework’ time learning about new concepts, freeing up class time to practice and apply what they’ve learnt with face-to-face support from their teacher and peers. That’s the basic premise, but the exact approach can vary in terms of how the content is created or sourced, when and how it’s delivered and accessed, and how students are encouraged to use it. 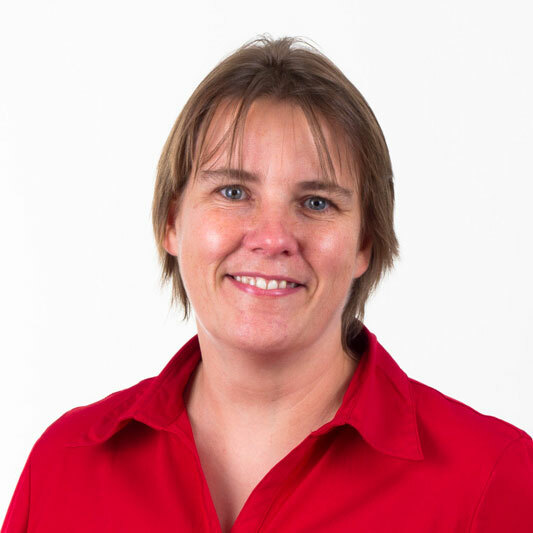 Tracey Muir is a Senior Lecturer in Mathematics Education at the University of Tasmania. Since 2015, she’s been researching how flipped learning is being used by secondary mathematics teachers in Tasmania and Victoria. ‘I was particularly interested in how it compared with what you’d call “traditional” mathematics instruction, and particularly in terms of senior secondary classes, which have traditionally high stakes assessment associated with them and that pressure to get through a crowded curriculum,’ she tells Teacher. Muir explored students’ and teachers’ experiences of flipped learning in 10 classrooms. She spoke about her research at last month’s MERGA (Mathematics Education Research Group of Australasia) conference, sharing three case studies with delegates. In the first, the content was teacher paced and curated – students watched prescribed videos before class as part of an algebra unit and spent the majority of their class time working on textbook exercises, getting help from the teacher as needed. Muir found 89 per cent of the students agreed the tutorials helped them understand concepts, but 50 per cent said they found them boring. In the second case study, students were again told which videos to watch before class, but this time the content was created by the teacher. At the time of Muir’s study, the teacher had created 20 tutorials, all around one hour in length (although they were broken up into chunks for students to focus on certain sections). Class time involved brief revision of the video content, some class discussion, and students working on textbook questions with help from the teacher if needed. According to the students’ feedback, 77 per cent found the tutorials boring but 85 per cent accessed all or most of them and all of the students said the content helped them understand the concepts. Another strong theme that emerged from the student feedback was that it didn’t matter so much who made the videos, the most important thing was that the materials were relevant. ‘So, if they were having difficulty with how to work out the mean of something, they might Google that and get 15 million hits of how to do it … and so they waste time and can’t find anything in particular. In this case the teacher has actually selected it for them or produced it for them and the students can be reassured that what they’re viewing is relevant and accurate as well. That was rather important. Now the academic is planning to research the use of flipped learning in primary classrooms. Teachers interested in participating in this new study can email tracey.muir@utas.edu.au. Stay tuned: In tomorrow’s article we’ll hear from one of the teachers involved in the research about adopting a flipped learning model for Year 12 Specialist Maths, how it’s evolved since the study, and his advice for educators wanting to give it a try. This researcher found flipped learning encouraged teachers to think about how best to present new concepts. How do you scaffold new content? Is this a whole-class approach or does it depend on individual learning needs? Do you provide opportunities for follow-up discussion and one-on-one instruction? Flipped or not, these are just structures and are not strategies (like cooperative learning or graphic organizers) which research shows actually improves the learning. Students are still just sitting ther doing drill and kill. Just rearranging the deck chairs on the Titanic. I have been experimenting this year with creating videos for my year 9 Maths students. I tried flipping the learning but found it was better to have some classroom instruction, have students watch the video and make note of any questions, thoughts or other resources which came to mind. The feedback from students has been positive. They like being able to watch at their own pace, review sections that they found difficult and were able to use the videos for revision. Students can also work at their own pace; if they are ahead of the class they can go on to the next video. I try to make the videos relevant to their interests. There are a number of country students so I try to include aspects of country life in the videos. I am about to experiement with getting the students to create their own videos to help one another.